The best part is that I got to visit it during Fall. 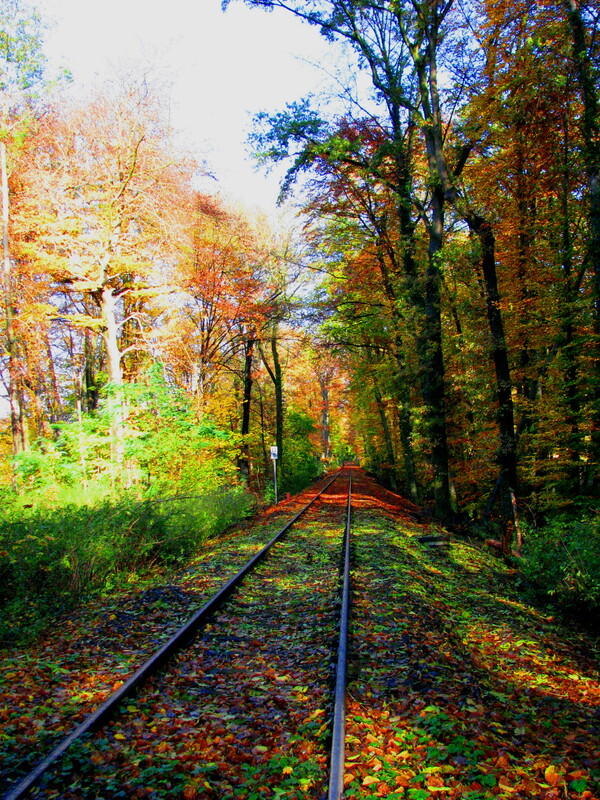 The colorful leaves added magic to the whole dreamlike layout.I believe springtime would be even more wonderful than this. The well manicured garden definitely are breathtaking. 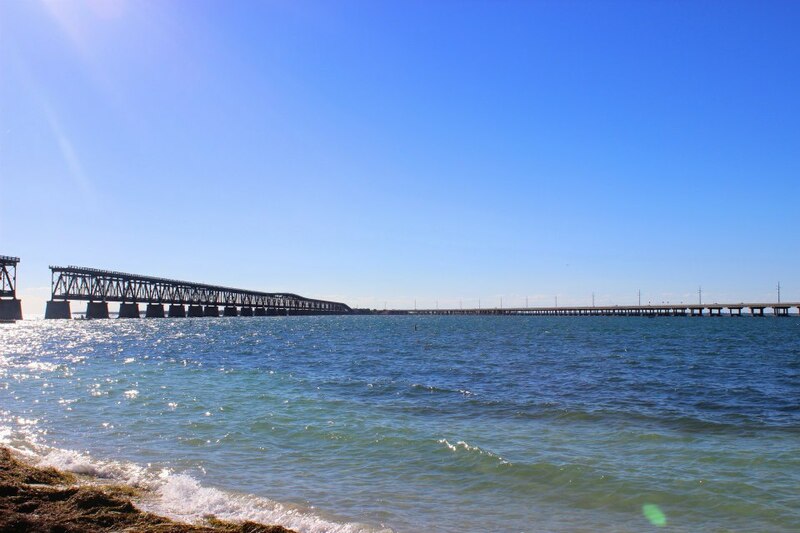 During our road trips, we often try to check those attractions that lie along the way to our main destinations. 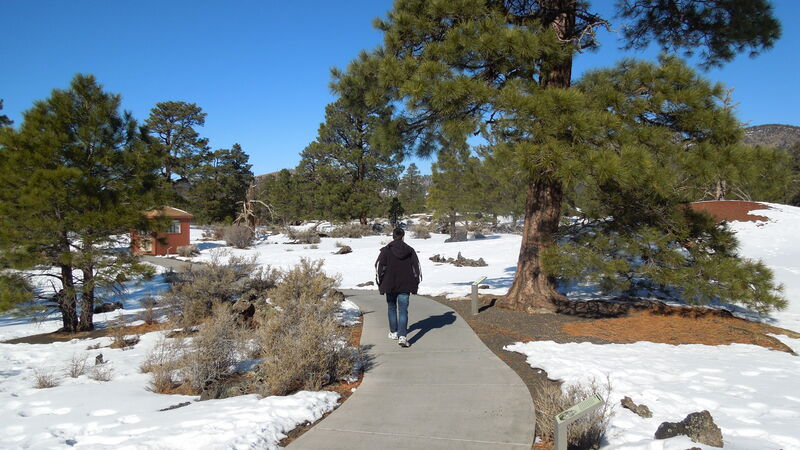 One such attraction was the Sunset crater volcano. 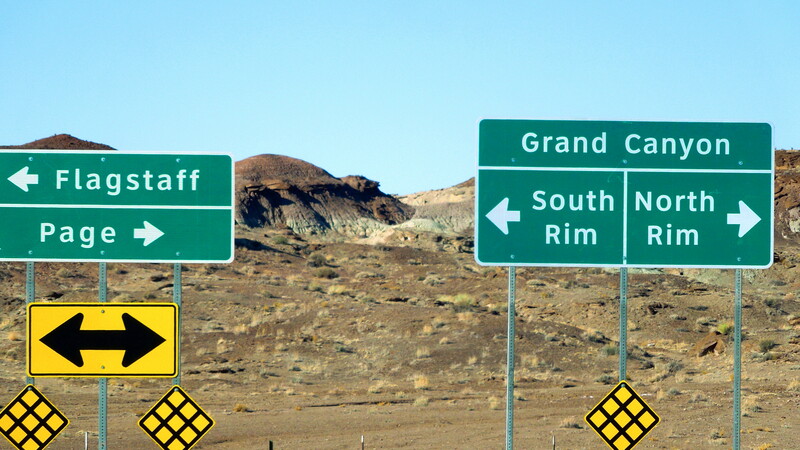 The long drive from Monument valley to Phoenix seemed to be tiring and boring and so hubby googled to check if there were any places worth stopping by on the way. 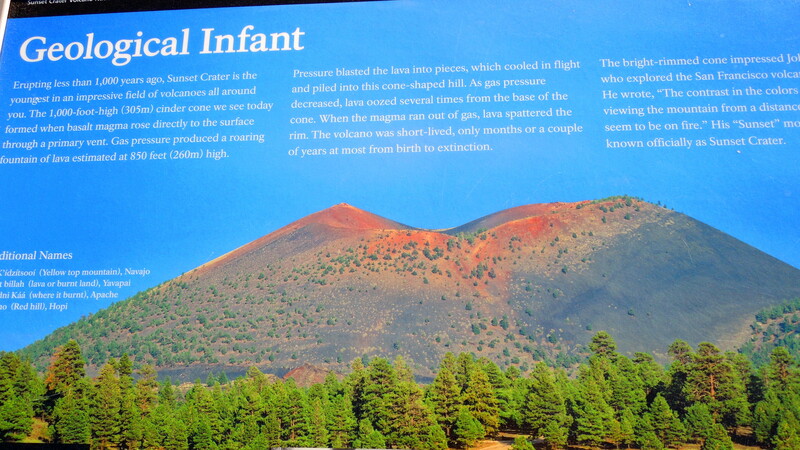 He found the name Sunset Crater Volcano National Monument, a nature preserve just 15 miles (24 km) north of Flagstaff, and along U.S. Highway 89. We had never seen a crater and so decided to give it a try. We headed towards the monument along highway 89.First we stopped at the visitor center which was just at the entrance, for information of the area. With our national park pass, our entrance to the park was free or else there was a minimal fee of $5 per person. 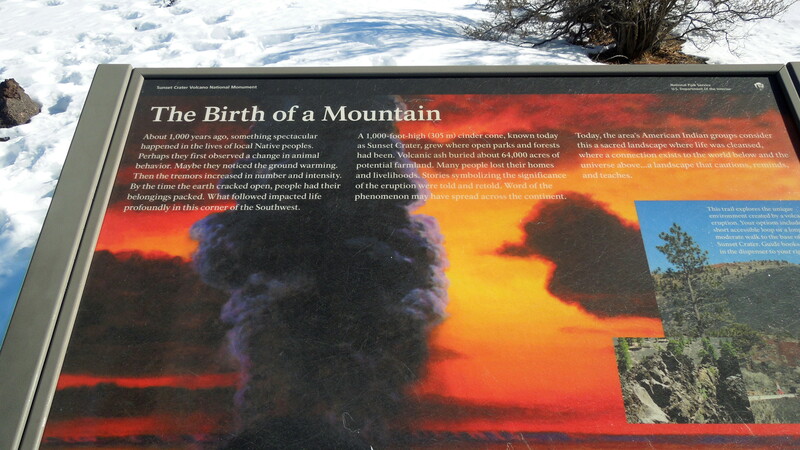 The monument is managed by the National Park Service in close conjunction with nearby Wupatki National Monument. The site had an interesting historical background. In 1928, local citizens learned that a film company planned to dynamite the slopes of the cinder cone to create a landslide for a movie. 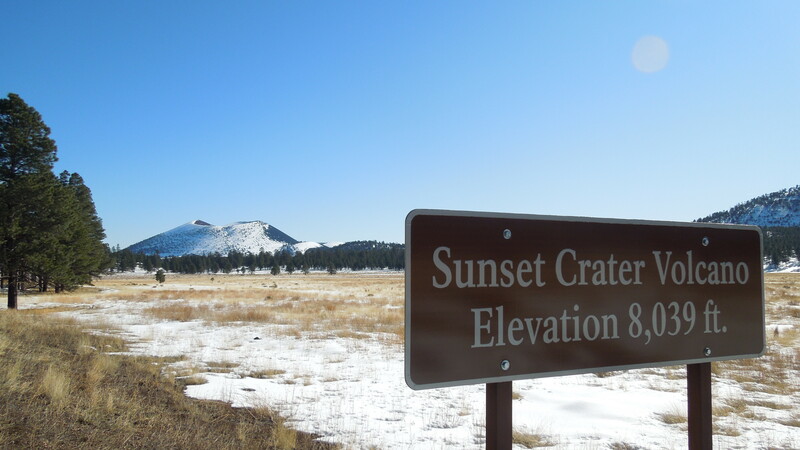 Their protests prompted President Herbert Hoover to protect Sunset Crater and the surrounding 3,100 acres as a National Monument in 1930. 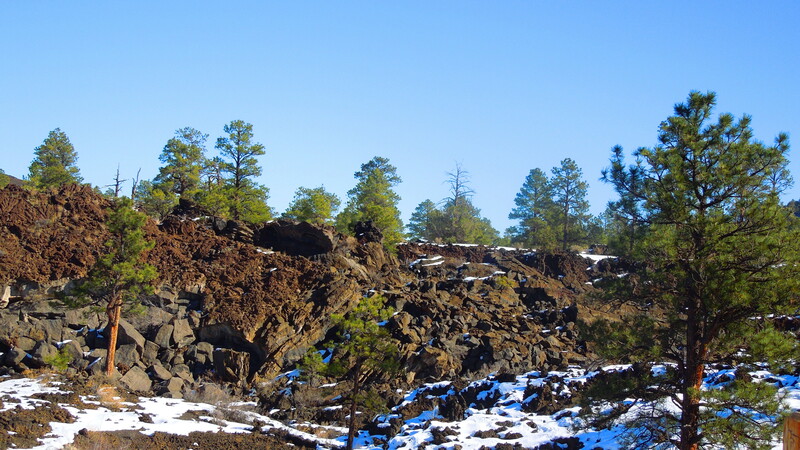 It occupies an area of 5 square miles (13 square km) within Coconino National Forest. Hiking on the volcano cinder cone itself has been prohibited since 1973 because of excessive erosion caused by hikers. 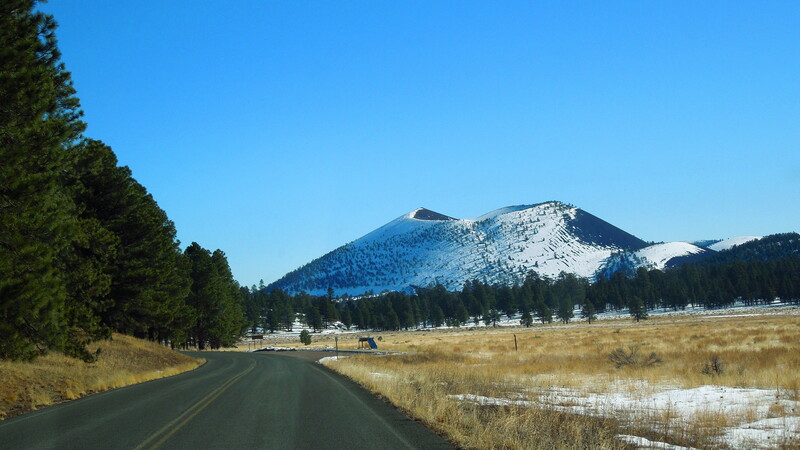 The monument is centered on a truncated cinder cone, the remnant of an extinct volcano that rises 1,000 feet (300 meters) above the surrounding area. The cone was dated by means of tree rings found in remains of nearby buried Native American pit houses; it apparently began forming after an eruption that occurred in the winter of 1064–65 (eruptions probably continued intermittently for roughly 150 more years). 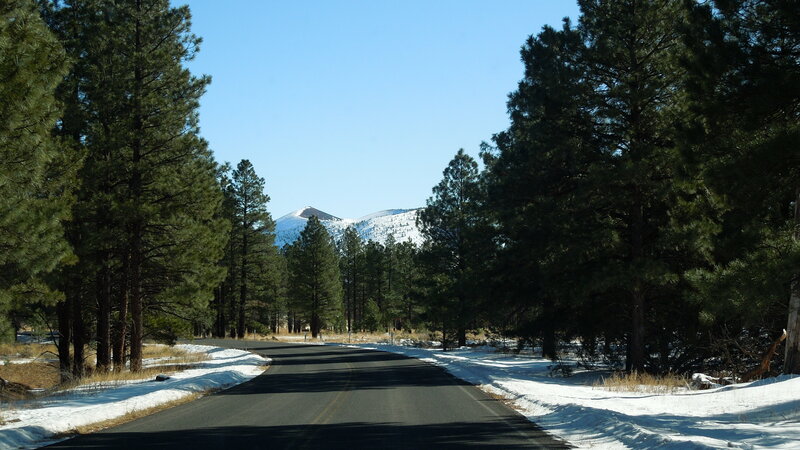 It was winter time and the snow and the pine trees alongside the road made a spectacular view. 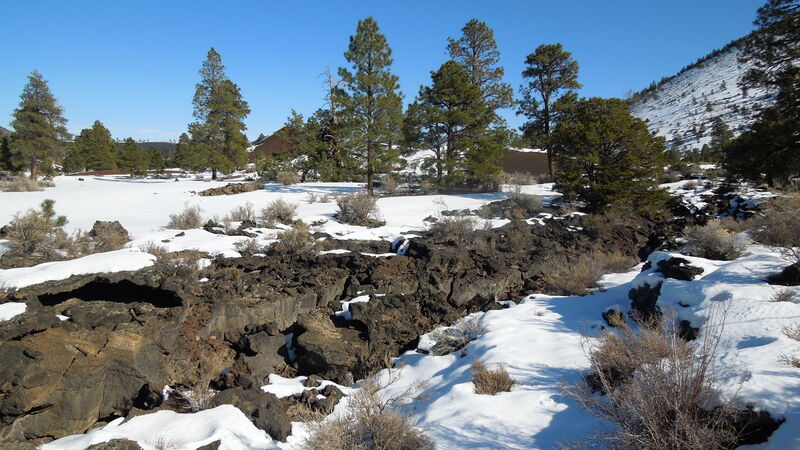 The monument contains numerous lava flows and lava beds with ice caves. Powerful explosions profoundly affected the lives of local people and forever changed the landscape and ecology of the area. 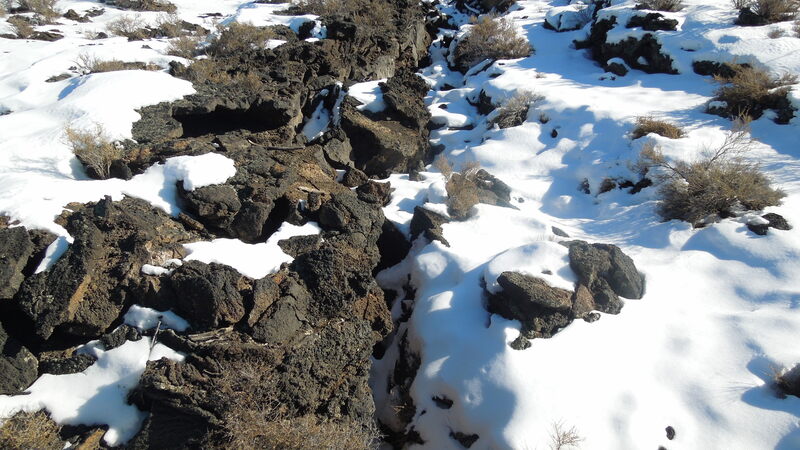 Lava flows and cinders still look as fresh and rugged as the day they formed. 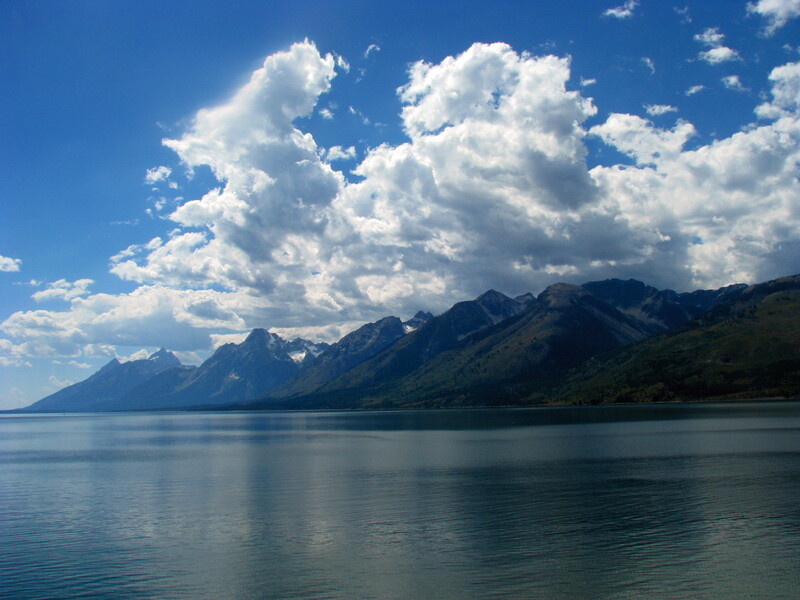 But among dramatic geologic features, you’ll find trees, wildflowers, and signs of wildlife. We had never seen lava before and so were very excited to get such a close up view. 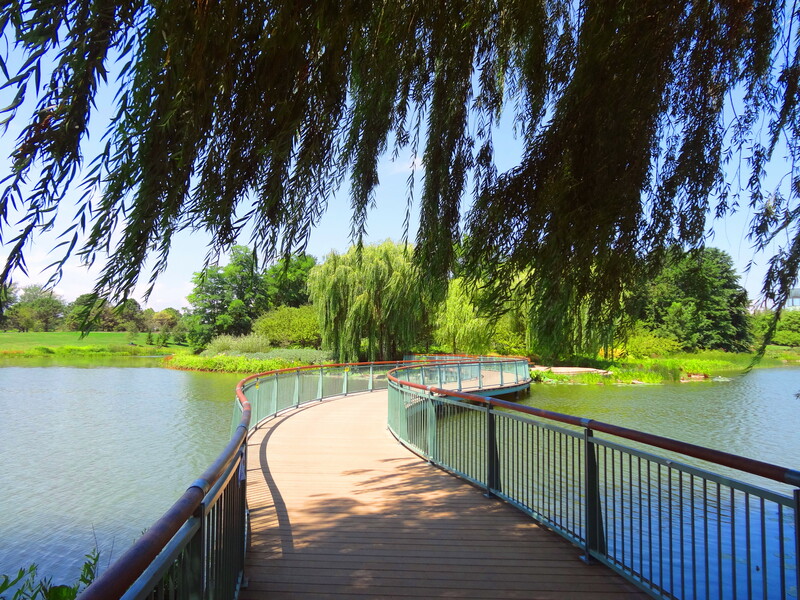 There are two trails in the area. 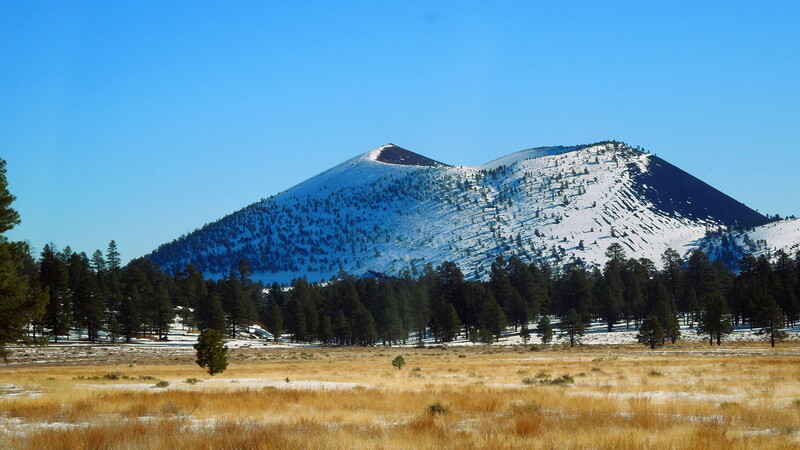 One, the Lava Flow Trail, takes you on a mile-long loop at the base of Sunset Crater and the other, Lenox Crater Trail, is a half-mile walk up an old volcano along a wide path of loose cinders. We stopped the car and walked around the one mile trail. We did not go to the crater as it was a very long uphill hike. The volcanic lava all around the area was quite unusual, like dug up tar roads! We spent some time around the area but the temperature was pretty cold and so we couldn’t stay outside for long. Taking some quick photos we headed back for Phoenix. All in all the view was just amazing and we had a wonderful time there. 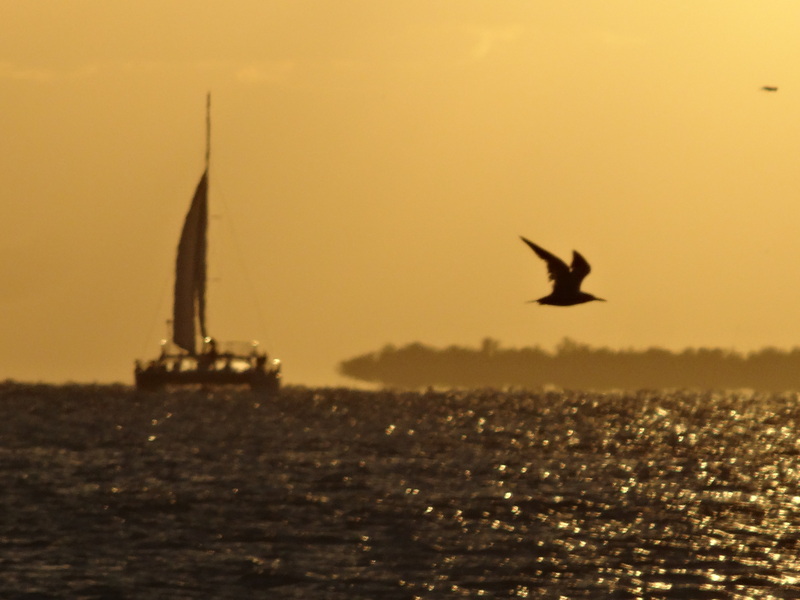 The best remedy for those who are afraid, lonely or unhappy is to go outside, somewhere where they can be quiet, alone with the heavens, nature and God. Arches National Park, located approximately 7 miles north of Moab, in the high desert country of Utah, contains the largest known concentration of natural stone arches in the world. 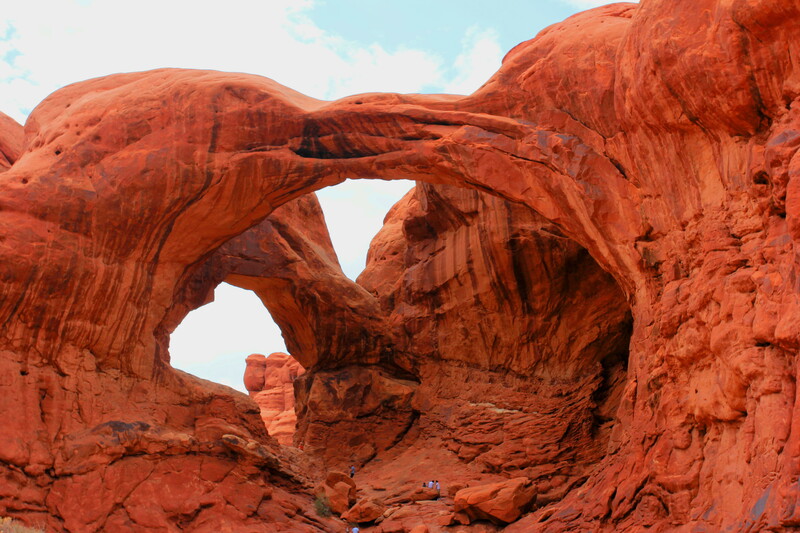 Established in 1929 as a National Monument, and gained National Park status on November 12, 1971, the Park encompasses some 77,379 acres and contains more than 2000 natural arches. With its very distinctive rock formations, Arches national Park is one of the most unique and exotic place to visit in the US. I was lucky enough to get the chance to visit this incredibly breath-taking place twice and hope to visit again in the future. The entrance of the park has a dramatic feeling of Jurassic park. 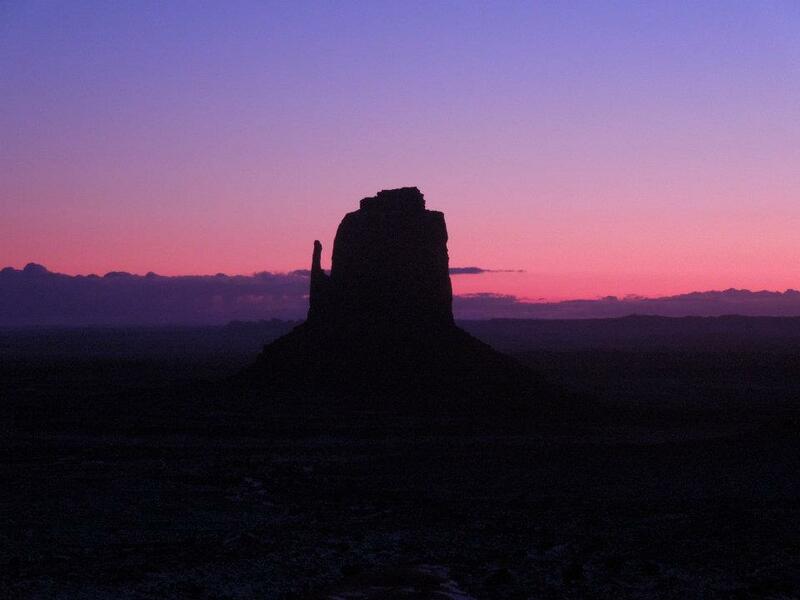 It is located only 5 mi (8 km) north of Moab, along Hwy 191. I was awestruck by the innumerable rock formations towering different levels. I could only marvel at the landscape of contrasting colors, landforms and textures. 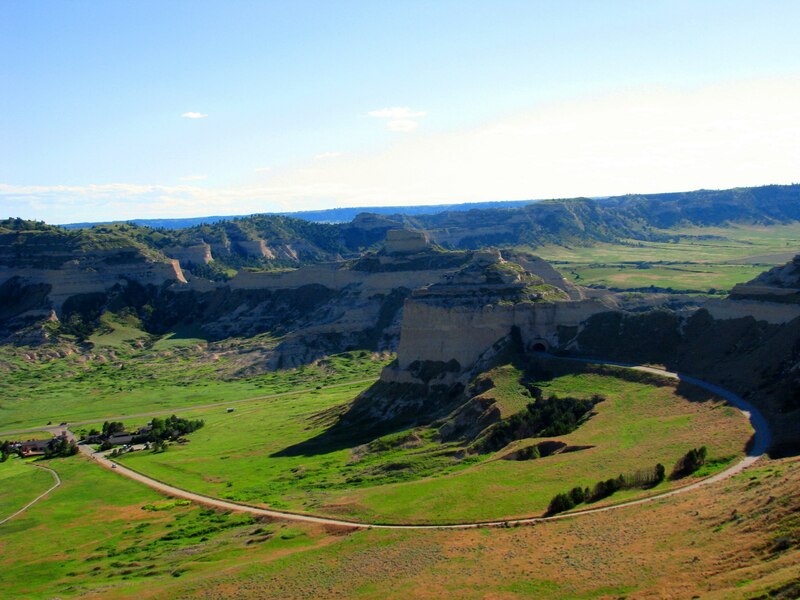 The rock layers reveal millions of years of deposition, erosion and other geologic events. 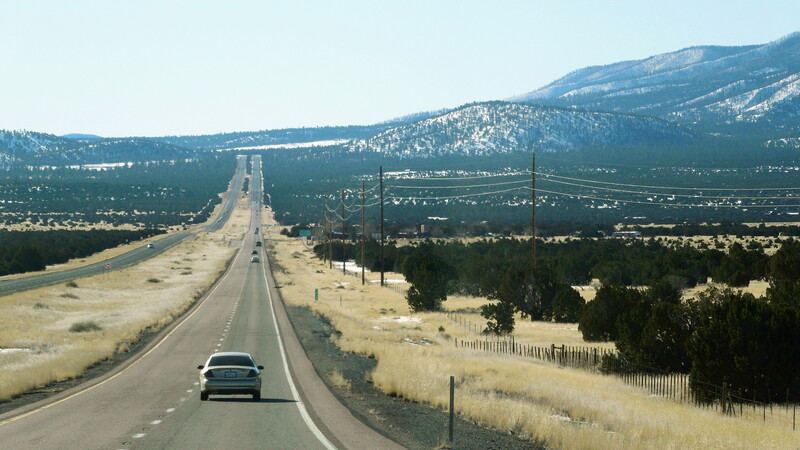 We drove along the scenic park highway which is 18 miles long and connects all the major viewpoints and trailheads within the park. Throughout the journey my camera clicked nonstop as the multitude of red rocks posed in front of me in different forms all along the way. 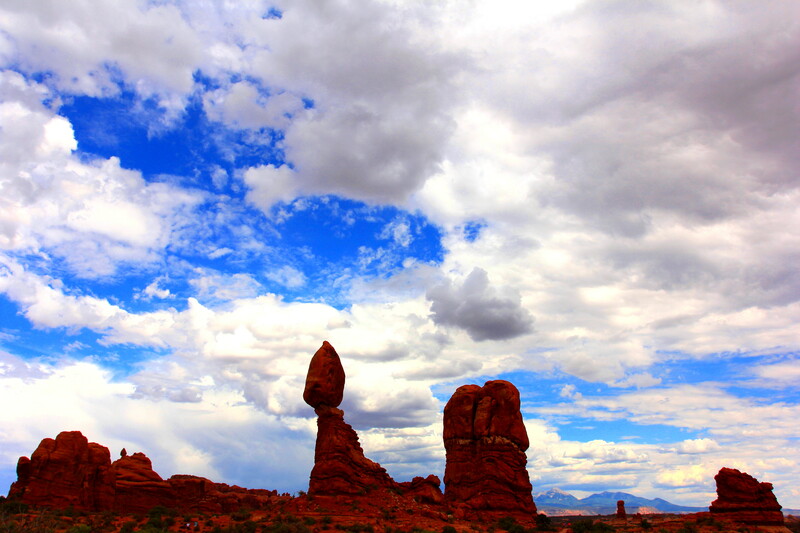 The park is filled with enough fins, spires, hoodoos, towers, arches, windows, and other “miracles of nature” to keep your jaw dropping all day. I didn’t want to miss a single moment of the trip. The first point we stopped at was Park Avenue and Courthouse Towers – monolithic spires and ridges of rock standing isolated in largely flat terrain. The first visitors said they were reminded of the famous Park Avenue of New York. 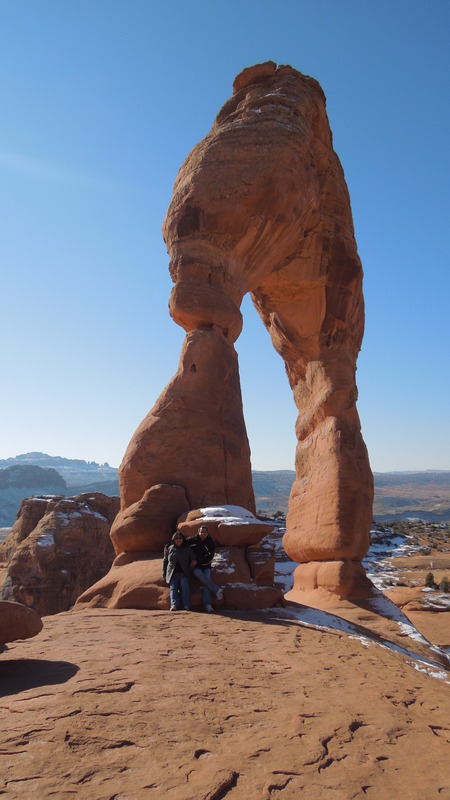 All of the distinctive arches and formations in the park have earned names befitting their shape, including Courthouse Towers, Window Arch, Skyline Arch, Balanced Rock and the infamous Delicate Arch whose image adorns the Utah license plates. Our next stop was at the Balanced rock, a mammoth boulder balanced precariously on a pedestal. There is a very short hiking trail to the base of this 128-foot tall fragile formation. From Balanced Rock, a paved road leads to the Windows Section of the Park. This area features the Cove of Caves, Parade of Elephants, Turret Arch, the North and South Window Arches, and the fabulous Double Arch. While the arches are visible from the road, they are best viewed from the short walking trails leading from the parking areas. The delicate arch is the most famous of all in this park and it is the iconic symbol found on just about every book, brochure, and guide ever written about Arches National Park. 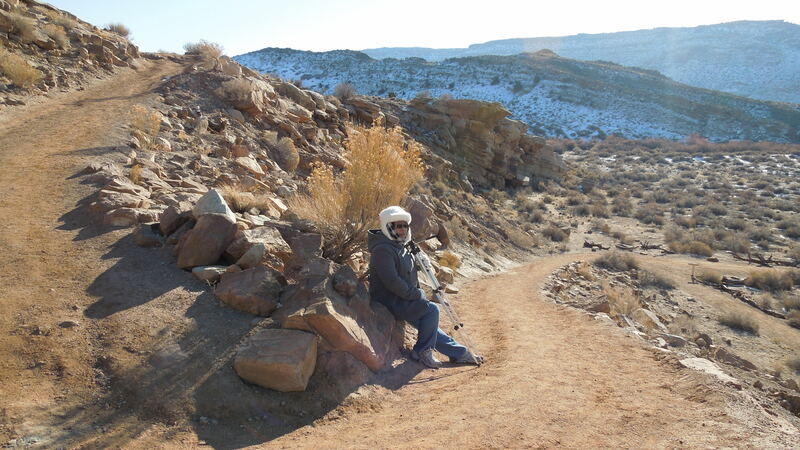 On my first trip, last December, I and my husband hiked through the 3 miles round trip trail though at that time I was suffering from severe back pain. I believe the excitement of the moment helped me to get through it all when I think about it now. There is no shade which makes the hike difficult in summer and so all are advised to take at least a liter of water with them.I also suffer from height phobia but I managed to climb through the slickrocks and gravel paths enjoying the terrific views below. Stopping to rest in between the hike.. The first half-mile is a wide, well-defined trail. We followed the marks of the trail all along. 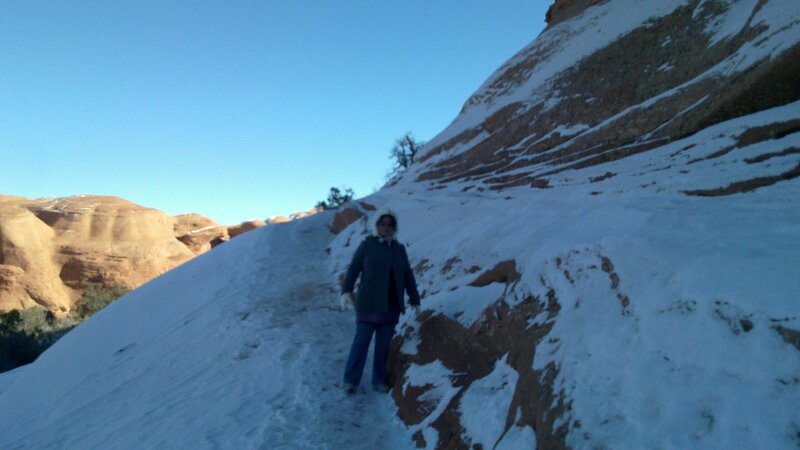 But as we reached the top the path was very snowy and narrow and I was gripped by sudden fear of height. I screamed at my husband for taking me there but quickly calmed down and decided to continue. It was a real challenge for me to go through the narrow snowy path by the side of the cliff which is just about 200 yards. 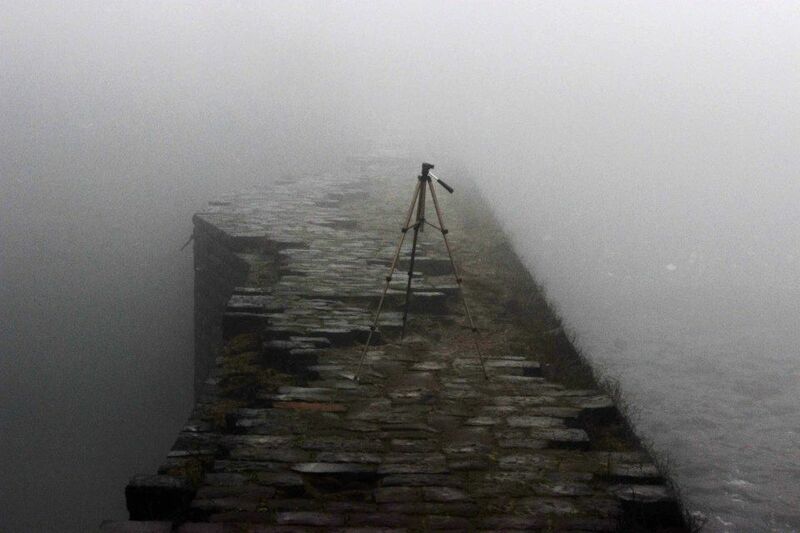 The arch is not visible till the last step but the very first view of it is truly spectacular. It leaves a strong impact on you which make the hike worthwhile. The breathtaking view of the arch erased away my fear of height and I started enjoying the grandness of this iconic structure. The immense size of Delicate Arch is not immediately noticeable; it only becomes apparent when someone walks closer to the formation. 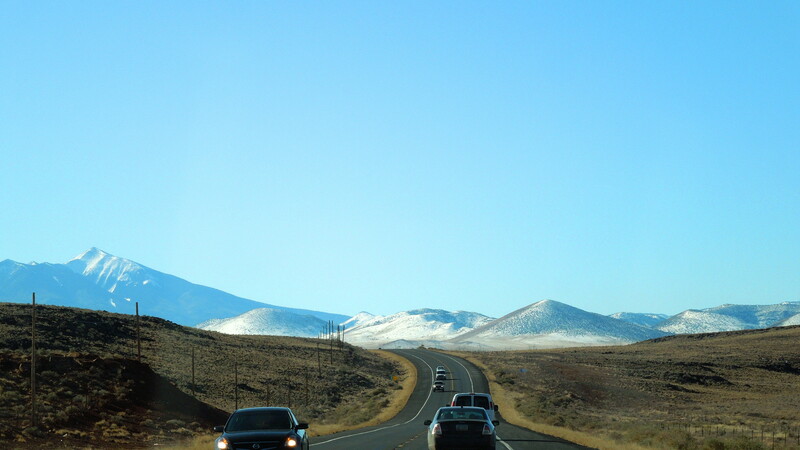 The view of the La Sal Mountains as the backdrop adds majesty to the scene. 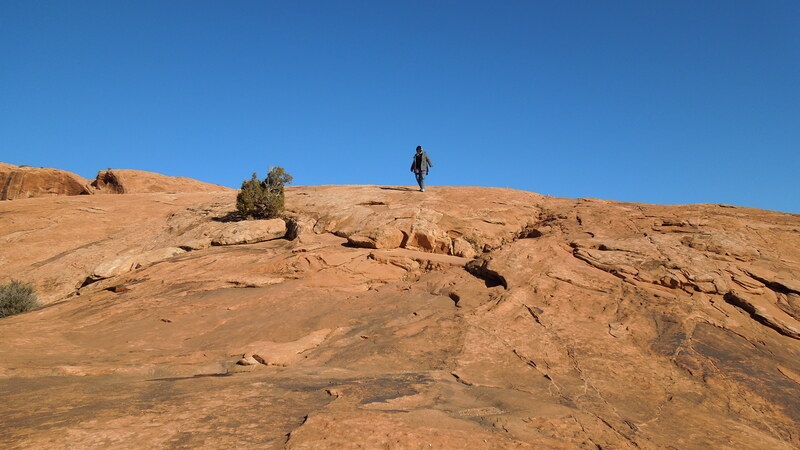 There is a shorter Delicate Arch Viewpoint Trail for those who can’t make the longer hike but from that trail you can only see the arch from across the canyon. 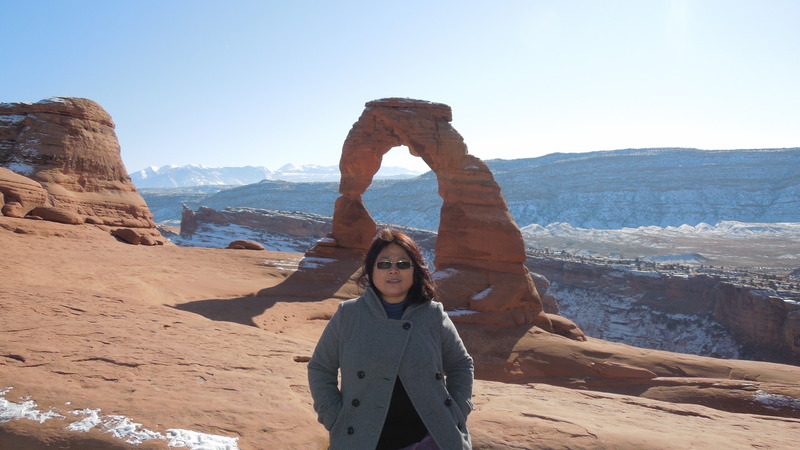 However, the true grandeur of the delicate arch can only be appreciated by standing right under the massive arch. 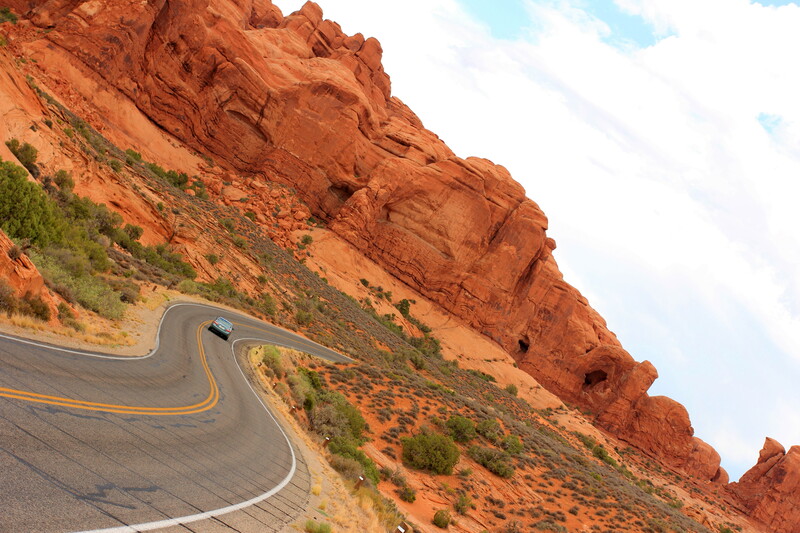 From the Delicate Arch turnoff, the Park road travels past Fiery Furnace and Skyline Arch to end at the Devils Garden trailhead. 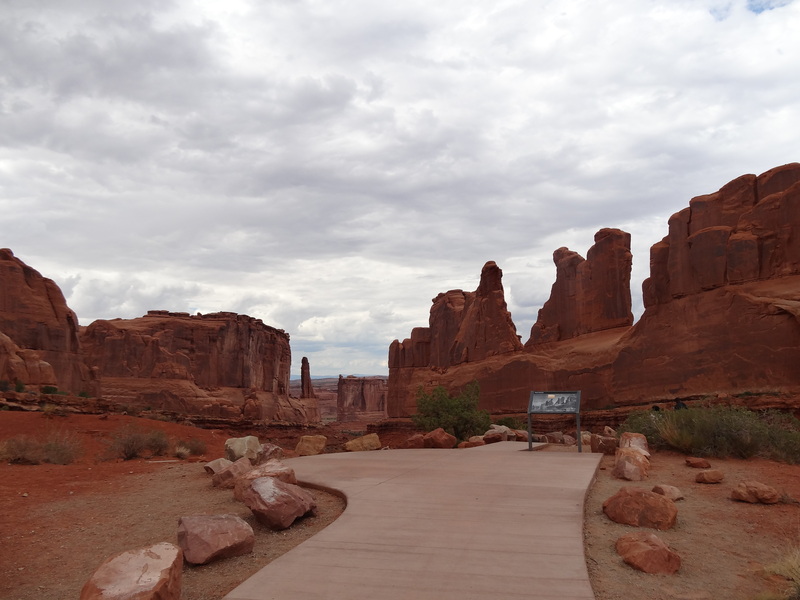 The devil’s garden trail is the second most popular destination in the Arches. We could not make to this part of the park due to time restrictions but hope to make it some other time in the future. The hundreds of photos that I clicked there help me relive the enchanting moment and brings back the desire to go back again.